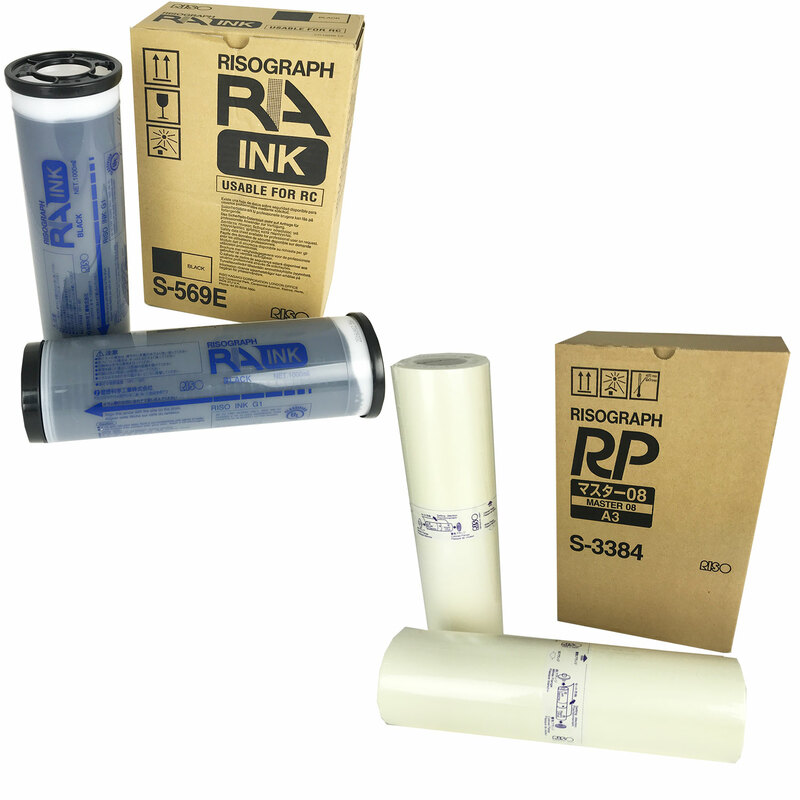 Risograph (Riso) and Duplo Duprinter printing copier inks and masters supplies. We stock a range of printing inks for the Riso and Duprinter copying machines as well as the master rolls that are required for them. Including B4, A4, and A3 size paper-master rolls and different coloured inks.